This handbook, intended for use by administrators and leaders in hospital dentistry, provides a brief historical background as it traces the evolution of hospitals from their places of refuge and alms houses in the eighteenth century to their current corporate structure. It provides a context for understanding the relevant modern procedures and policies discussed in the text. 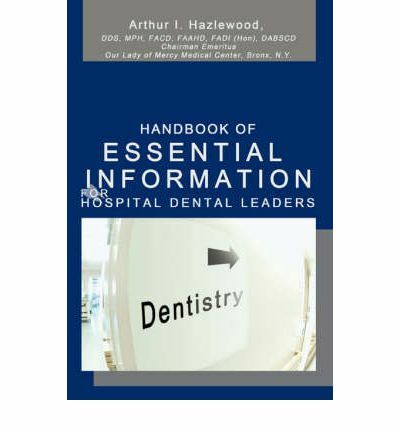 The book covers basic information necessary for the productive leadership of a hospital dental department. It is presented in four sections. The first section is historical as stated above. The second section describes the legal structure, organization, governance of hospitals and includes the role of support services. The third section is devoted to a broad range of topics relating to the medical/dental staff. The fourth section covers the detailed operation of the dental department. An appendix is included.